In the five years between being diagnosed with cancer and her death on 23 July, Dr Kate Granger helped change the face of doctor-patient relations and raised hundreds of thousands of pounds for charity. Born in 1981, and growing up in Huddersfield, West Yorkshire, she left home in 1998 to study at the University of Edinburgh, graduating seven years later with a BSc in Pharmacology and a degree in medicine (MBChB). After leaving university she moved back to her home county to begin work as a junior doctor and marry her fiancé Chris Pointon. But, in August 2011, aged just 29, her world was turned upside down when she was diagnosed with a rare and aggressive form of cancer. Determined not to let the disease prevent her achieving her goals, she stopped receiving chemotherapy in January 2012 and returned to work, writing online that she wanted to "get on with living my life". Over the next five years her grit and resolve saw her do exactly that. Arguably her greatest achievement was the #hellomynameis campaign - which encouraged healthcare staff to introduce themselves to patients. A by-product of her own experiences of hospital in August 2013, it grew out of the feelings of unimportance she experienced when the doctor who informed her that her cancer had spread did not introduce himself. Speaking about the creation of the campaign she said: "It's the first thing you are taught in medical school, that when you approach a patient you say your name, your role and what you are going to do. "This missing link made me feel like I did not really matter, that these people weren't bothered who I was. I ended up at times feeling like I was just a diseased body in a hospital bed." Using the following she had built up on social media via her blog, which she used to chart her battle with illness, she and her husband began spreading their message. Within two years the campaign had won the backing of more than more than 400,000 doctors, nurses, therapists, receptionists and porters across more than 90 organisations, including health trusts across the UK. It also won the support of politicians and celebrities, including Prime Minister Theresa May, Richard Branson, Kylie Minogue, Jeremy Clarkson and Drew Barrymore. Health Secretary Jeremy Hunt said Dr Granger's campaign was inspiring. He said: "All patients should be treated with compassion and the fact this movement has started from within the NHS itself makes it all the more powerful. "We know that doctors and nurses within the NHS are doing more than ever to provide safe and compassionate care and this movement is harnessing their energy." Aside from spearheading the campaign Dr Granger and her husband, who lived in Wakefield, also helped raise more than £250,000 for Yorkshire Cancer Centre, achieving their goal just days before her death. The fundraising target was part of a bucket list set up following her diagnosis. Other things she achieved include skydiving from 10,000ft, meeting Gary Barlow, being an extra in Coronation Street and renewing her wedding vows. She also published two books charting her battle with cancer. Dr Granger's kind heart and indomitable spirit were recognised in 2014 when NHS England launched the 'Kate Granger Awards for Compassionate Care' and again in 2015 when she was awarded an MBE for her services to the NHS and improving care. Tributes for the 34-year-old have flooded in following her death on Saturday. Natalie Silvey, national medical director's fellow at NHS England described her as a "determined, intelligent, funny, brilliant woman" and said her campaigning had been "a valuable reminder to staff to go back to basics, building trust and reaffirming a vital human connection with patients as people". 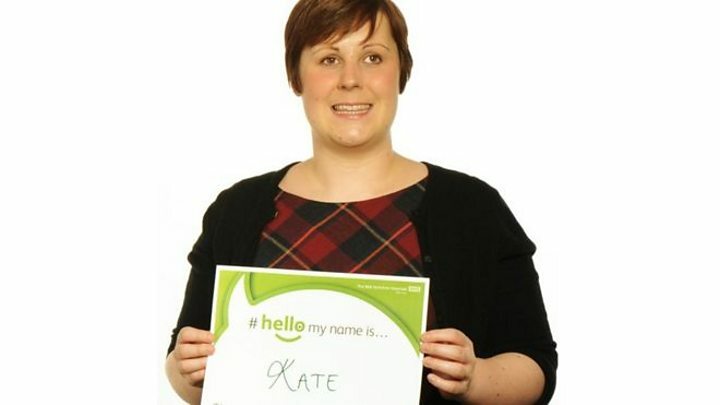 NHS medical director Sir Bruce Keogh said: "Kate Granger was an inspiration to us all and her #hellomynameis campaign and the Compassionate Care Awards named after her will be her legacy to the NHS and a lasting tribute to her memory."